Kerala style porotta or paratha is a layered flat bread of south India, particularly Kerala. 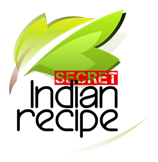 It is similar to North Indian paratha but the difference is that it is prepared using all-purpose flour and need good kneading to make soft dough. It is the favourite food of fast food lovers in Kerala. Salt - as you need. Oil – as you need. Mix 2 cups of all-purpose flour and 1/4 wheat flour in a bowl. Add oil (as you need. I used 2 tablespoon of oil)to it. Pat the dough well, so that it will be softer. Knead the dough again with your hands after four hours. Rub oil on a clean surface, preferably a large marble piece. Roll these small balls in oval shape with rolling spin (Chappathi stick). Roll these pleats to form a round shape. This is done to get layers. Then roll it out again with rolling spin. Only one side should be rolled out. Put a pan on the gas stove. The flame should be low. Apply oil in the pan and fry the porattas. Fry both the sides of porattas by flipping it using a spatula. When both the sides turn slightly golden brown, take it out and put it on a plate. Then use your hands to pat both sides of the porattas to get the layers. Vegetarian people can avoid eggs and can make a lighter version of Kerala poratta.